In today’s world, the debate over whether any given country should give thousands of refugees a place to stay is hotly contested. Just about every western nation with a strong economy has been asked to take in refugees from war-torn countries. Some fear that if too many immigrants are brought into their country, the original inhabitants will lose job opportunities, or leech on benefits. Others are afraid that too many people from another culture will drastically change their home. In some cases, people are even afraid of terrorists and criminals coming across the border. Hindsight is 20/20. 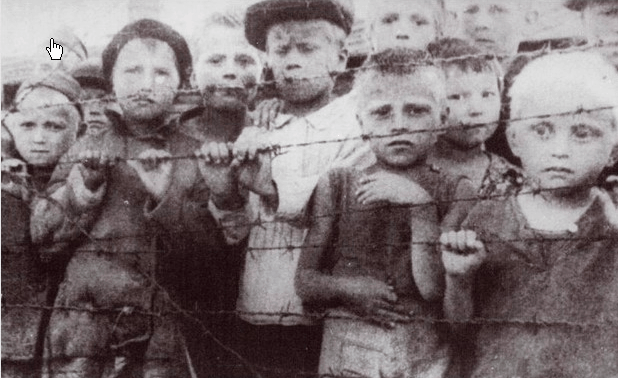 In the case of the Holocaust, just about everyone with even an ounce of compassion can agree that if they were alive during World War II, they would have wanted to help save the lives of the European Jewish people who were sent to concentration camps. Most of us grow up reading The Diary of Anne Frank in school, and we feel this sense of compassion towards the young girl and her family hiding in the attic. No matter how inconvenient it may make our own personal lives, so many people would gladly invite a Jewish child into their home if it meant saving them from the gas chamber. Few people realize that back in the 1930’s and 40’s, the United States actually had the opportunity to help the Jews, and they turned them away for all of the same fears that US citizens have about foreign refugees today. In 1938, The Night of Broken Glass sparked violence against German Jewish people. British Prime Minister Neville Chamberlain responded by immediately arranging for thousands of Jewish refugees to leave Germany and make their way to England by train. Hundreds of them were children who were living in an orphanage that had been burned to the ground by the Nazis. Even with Great Britain’s help, there were still roughly 60,000 Jewish children who needed homes, and the eyes of the world turned to the United States. They were, after all, the “land of the free”- made up of immigrants from all over the world. However, there was a lot of Anti-Semitism and Xenophobia that existed in the United States at that time. The stereotype was that “dirty” Jewish people showed up poor, but they knew how to take full advantage of the American economy, and they ended up getting rich. Whenever they traveled place to place, they were so successful, they ended up taking over businesses, opening banks, and essentially taking over an area. There was a lot of jealousy over the fact that Jewish people tend to be well-educated and financially savvy. Then, there was also the underlying fear that other groups would be pushed out of power by Jewish people. Then, of course, the United States was a predominantly Christian country at the time, and they had fundamental differences in their religious beliefs. On top of public insecurities, there was a fixed immigration system that had been established in the 1920’s that said that only a certain number of people could immigrate to the United States from any given country, and there was no exception for refugees. The overwhelming amount of Jewish people coming out of Germany would have far surpassed the quota that the laws would allow. In 1939, the United States had 125,000 visa applications from Germany and Austria, when the annual quota was only 27,000. President Franklin Delano Roosevelt was put under pressure to increase the number of immigrants, but changing a law is far more complicated process than that. Senator Robert Wagner, a Democrat from New York, and Edith Rogers, a Republican representative from Massachusetts worked together to craft a bill that would allow an additional 20,000 orphaned children into the United States. On top of that, 1,400 American families wrote in to say that they would be willing to foster these kids once they arrived, and they surely could have found more to support the cause. Tragically, it was never passed, and America turned their backs on thousands of children who desperately needed a safe place to live.